A VPN, traditionally known as a Virtual Private Network, is basically a tunnel that is established by a service provider on the internet. Every VPN connection that is established will always be encrypted and hence will remain completely anonymous, thus helping you in maintaining all your online activities secure and hidden. Internet access by way of a VPN connection happens to be an extremely useful aspect for those of you who are very much concerned about your online privacy, security and anonymity and also for those of you who are being blocked access through proxies and firewalls. 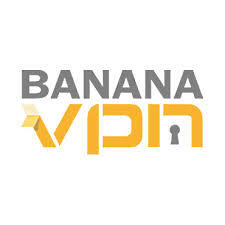 When you sign up for a personal VPN account with a reliable VPN service provider like the Banana VPN, you will be offered the freedom to enjoy free and open access to the World Wide Web like the rest of the internet users of the world, in addition to getting around internet censorships or geographic restrictions that prevent you from watching your favorite TV shows and movies on sites like Netflix, Hulu, BBC One, etc. and making video and voice calls on services like MSN, Skype, and other similar applications. Public Wi-Fi hotspots have become the delight of hackers in recent years, as there are several incidents of identity theft happening around the world. You can use a professional VPN service, like Banana VPN, at such Wi-Fi hotspots in restaurants, hotels, airports, malls, etc. to enjoy a secure internet connection, preventing hackers, snoopers, and other cybercriminals from performing online attacks like monitoring, tracking down and capturing your personal and crucial information to use them illegally. This is possible because the tunnels established by the VPN service would be 128 bit encrypted and hides your original IP address completely. Serving internet users since the year 2007, Banana VPN has served to be one of the most preferred VPN service providers, especially by the internet users of countries like Qatar, Thailand, etc. The VPN service provider will provide you with comprehensive access to the internet in those venues that restrict or block your connection. The provider also enables you to unblock all of your favorite video streaming, social networking and video calling services from any part of the world, even in those countries that restrict access to such websites. Certain Middle Eastern countries block access to Skype, China blocks access to Facebook, Twitter and YouTube, and video streaming websites of the US and UK cannot be accessed outside their respective countries. Banana VPN provides an easy solution to all these issues by simply replacing your IP address to a one from its server located in a country that does not have severe internet censorship practices in place. For instance, if you wish to keep watching your favorite TV shows on Netflix even after leaving the US, all you need to do is connect to a VPN server of Banana VPN that is located in the US. This particular server will replace your current IP address with a one from the US, faking your location to be somewhere in the US and making the website believe that you are present in the country. This enables you to keep watching your favorite shows and movies through the website without facing any type of geographic restriction or internet censorship imposed by countries. Most importantly, you can access Banana VPN from any part of the world on any of your internet connected device, making it an easy and convenient VPN service. Why Should You Use Banana VPN? Hides your original IP address, providing you with a powerful layer of online security and anonymity. You can receive a new US or UK IP address to access your favorite websites that can be accessed only in those countries. Bypass protocol throttling and content restrictions enforced by your Internet Service Provider (ISP). Contains 15 servers in 7 different countries and allows you to switch between those servers at any time and any number of times, at no extra cost. Obtain access to blocked websites like YouTube, BBC, Netflix, Facebook, etc. from any location. Enjoy completely secure internet connection, with 128 bit encryption, amidst your computer and the network. Easily use Skype, Google Talk, Yahoo and other VoIP services in countries that restrict access to the same. Access blocked or censored websites in countries like China, Qatar, Thailand, etc. Remain anonymous throughout your online sessions, preventing your office, government, school or ISP from monitoring or tracking down your online activities. Use the service on all your internet connected devices, like your PC, laptop, tablet, or even on your smartphone, with complete security, privacy and anonymity. Banana VPN offers various subscription based services. You can obtain unrestricted access to the internet by paying just $14.99 per month. The service accepts payments via credit cards, and your VPN account with the service gets created automatically as soon as you make your payment. If you are looking for a reliable and professional VPN service provider to protect your online identity and enjoy an open and free internet connection, then Banana VPN is the solution for you.